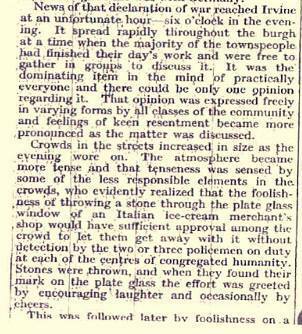 A fascinating account in the Ardrossan and Saltcoats Herald of the anti-Italian riots that took place in Irvine on the night of Monday 10 June 1940. 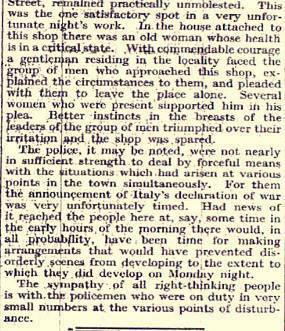 Italy had just declared war on Britain and France, and the news started spreading around the burgh at 6 o’clock that evening. 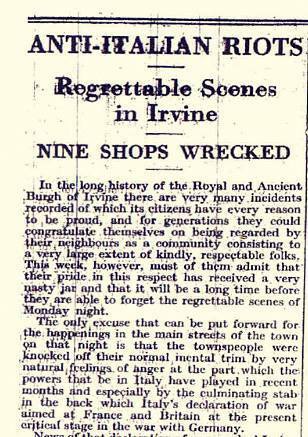 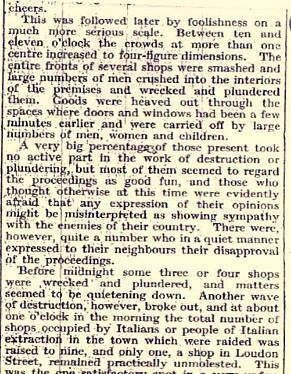 Hundreds gathered at various places throughout Irvine, and by the end of the night, 9 Italian shops had been wrecked and looted.